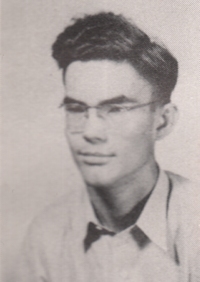 Obituary – Roads, Jack Douglas « Perry High School Alumni Association, Inc.
﻿Band 49-52, D. E. 51-52. 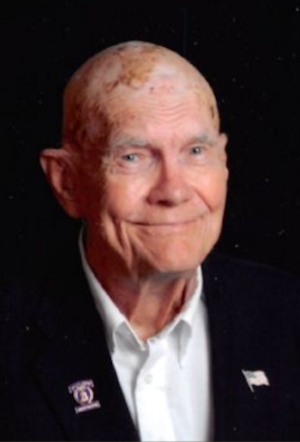 Jack Douglas Roads passed away Friday, February 19, 2016 in Perry Memorial Hospital. He was 83 years of age. Jack was born on December 23, 1932 in Perry, OK to Harold Douglas ”Speck” Roads and Stella Mae Anglemyer Roads. Funeral Services will be held at 2:00 pm Friday, February 26, 2016 at the First United Methodist Church with Rev. Michael Strange pastor officiating. Interment will follow at Grace Hill Cemetery under the direction of Brown-Dugger Funeral Home of Perry, OK.
Jack grew up in Perry and graduated from Perry High School in 1952. He married Betty Ruth McHenry on November 29, 1953 in Perry. Jack enlisted in the U.S. Navy and did several tours of Duty during the Korean and Viet Nam conflicts. He completed 18 years of military duty. On April 4, 1976, he married Darlene Smith Morrill and they made their home in Perry, OK. Jack was employed at the Charles Machine Works, Inc. for 20 years. He then decided to become a part of the American Legion Post 53 in Perry. He attended his first meeting and left that meeting as Commander. Jack ate, drank and slept American Legion, Post 53. His first project was to restart American Legion Bingo. Additional projects included installing U S VETERANS’ flag holders on all veterans graves at Grace Hill cemetery and eventually throughout Noble County, to organize flag lines at veterans’ funerals, to refurbish and remodel the Legion Hall and to make citizens aware of proper flag etiquette. His current project is creating a Field of Honor for all veterans’, living or deceased. Over the years, Jack was involved in Stagecoach Community Theater, Ditch Witch’s Corporate Challenge, Perry Information Network (PIN TV) where he filmed many local events and programs, among other things. He was a member of the First United Methodist Church. Survivors include: His wife Darlene of the Home; 1 daughter: Judy Kay Weed and husband Brad of Yukon, OK, 2 sons: Wayne D. Roads and wife Gabriele of Cheyenne, Wyoming, Allen Roads of Yukon, OK, 3 Children of his heart: Lori St Clair and husband Kraig of Perry, OK, John Morrill and wife Lisa of Pawnee, OK and James Morrill and wife Kelli of Lees Summit, Missouri, 10 grandchildren and 16 great grandchildren and several nieces and nephews. Jack was preceded in death by his Parents, 1 daughter Sheryl Ann Roads, 1 granddaughter Amber Roads and 2 sisters.